I am sad to say I only have one thing in common with Lionel Blue, I wish I had more. Famous for his contributions to “Though for the Day” a lonely and generally the most unappreciated gig for any person to do. He had a brief to make religion relevant in a largely Godless age. For most contributors people I guess, just tuned out, even if it was a blessed relief from John Humphrey’s hectoring or Sarah Montague’s inane babbling. 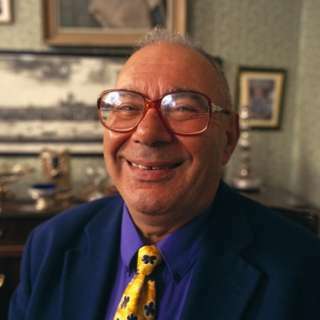 But everyone, and I mean everyone, no matter what religious belief they professed, stopped and listened to Lionel Blue, the humane and kindly Rabbi with a smile you could hear in his voice, and a groan-worthy sense of humour that miraculously made people laugh one their way to work even on a Monday morning! 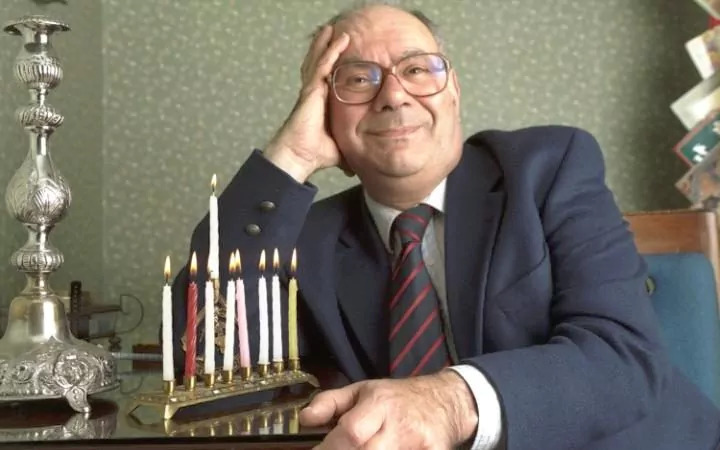 Born in London before the war, he found the events of the holocaust a challenge to his faith and lost it entirely when a prayer to remove Adolf Hitler was ignored. Entering Balliol College he regained it at a Quaker meeting where he managed to resolve his inner turmoil about his faith and and his sexuality. He became a rabbi in 1960 and the rest is history. And by the way, it is Quakerism which we have in common, just in case you were interested!